Alternating from the dry to the wet add into the butter mixture some of the dry then some of the wet and so on until it is all mixed. 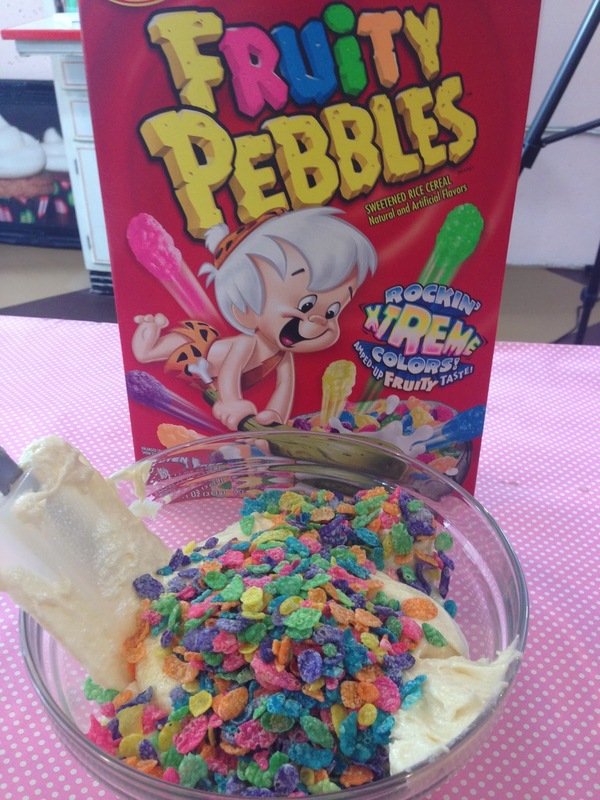 Fold in 2 cups of fruity pebbles. 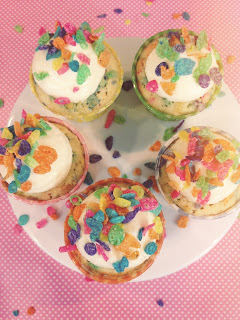 Pipe the frosting on the cupcake and top it off with fruity pebbles!